Ever since losing the Intercontinental Championship to Roman Reigns on Raw, The Miz has been out filming the sixth installment of The Marine with WWE Hall of Famer Shawn Michaels and former SmackDown Live Women’s Champion Becky Lynch. While many could criticize this decision, due the WWE films not being wildly successful regarding box office over the years, this is yet another major income stream for the seven-time IC Champion. Moreover, this is of great benefit since he is expecting his first child with former Diva’s Champion Maryse. 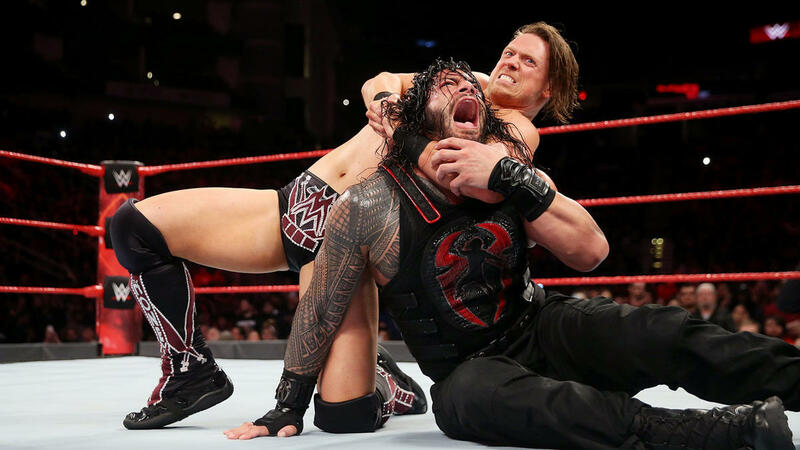 Following the loss to Reigns, WWE took footage of The Miz scoffing at the crowd after the show went off air but turning around to The Shield at the entrance. He would then become a recipient of a triple powerbomb, which would write him off television to film the movie. His cohorts, Bo Dallas and Curtis Axel of the Miztourage, quickly found an ally while he is gone, as they joined Elias with his singing to the Nashville crowd. Other than that, the life of their character is dependent on being associated with The Miz, so his return is imperative for the team. Based on a recent post, there looks to be a timeline to when he is expected to return. Miz provided a status of his filming, stating that they just wrapped up week one and the first location. He added that the cast and crew are bringing their A game. Shawn Michaels, who Miz joked about already having his shirt off in week one, provide the update, “[one] down, [three] more to go!” This status from Michaels gives a timeline that there are three more weeks left of filming, and The Miz should be good to return after this period. WWE could possibly save his return until the beginning of the year, especially since it looks that Reigns will be feuding with Samoa Joe for the coming weeks. In addition, the Wrestling Observer Newsletter reports that Reigns vs. Joe for the IC title could be saved for the Royal Rumble, since Raw does not have another pay-per-view for the rest of the year.